Do you have a specific problem that needs solving or an improvement you want to implement but you lack some expertise? The High-Tech Engineering Competencies service offers an extremely broad pool of advanced expertise and facilities that can immediately be put to work for your company as needed. Our engineering consultants are capable of tackling challenges in almost all advanced engineering fields, and at every stage in equipment lifecycles. You can embed the competence know-how you need into your own internal teams – if needed on-site. All of our highly skilled engineering specialists have a strong theoretical background as well as extensive hands-on practical experience. 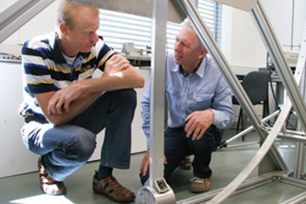 They also work in close, collaborative synergy with their colleagues in other advanced engineering disciplines. This gives them the ability to quickly – and correctly – pinpoint the true causes and drivers of high precision challenges and address them effectively. 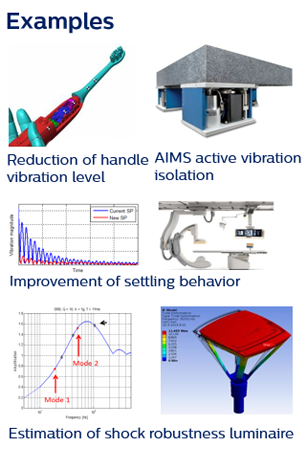 Vibro-acoustics&low noise design. 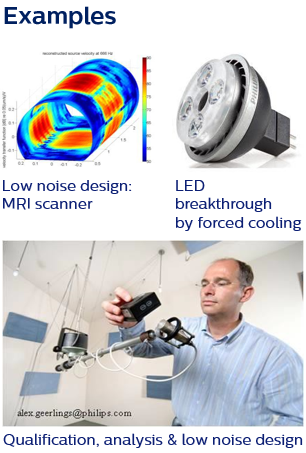 Low noise product design. design and build passive and adaptive acoustic systems removing or minimizing unwanted vibro-acoustically induced vibrations. One stop shop for control & optimization algorithms, providing a fast indication of the performance of basic and/or elaborate control solutions or optimization schemes. 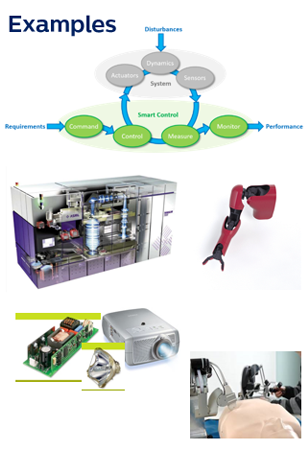 Control is about design, integrate & test cost-effective control and control related solutions. Dynamics stands for dynamic system modeling and analysis to predict system performance in the design phase and to understand and measure system performance in or after the realization phase. 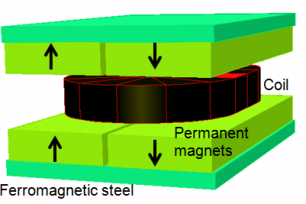 Design & development of magnetic systems and electromagnetic energy conversion for high precision, healthcare, and consumer lifestyle applications. 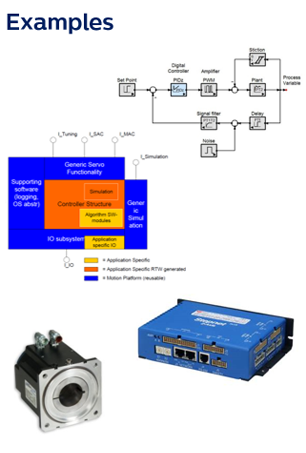 Drive system architecture, motor and drive system choice based on off-the-shelf components and system performance requirements. Actuators based on other principles than electromagnetics e.g. piezo-electric materials are included in this competency. Sensing & measurement. 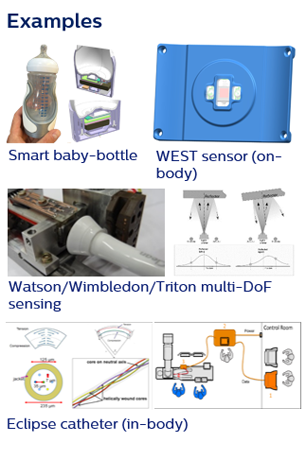 Cost effective sensor systems based on smart algorithms to maximize performance and utility. 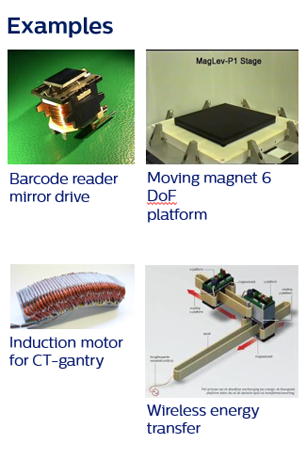 Sensing & measuring principles: magnetic based, resistance based, capacity based, induction based, optical, interferometry, vision. 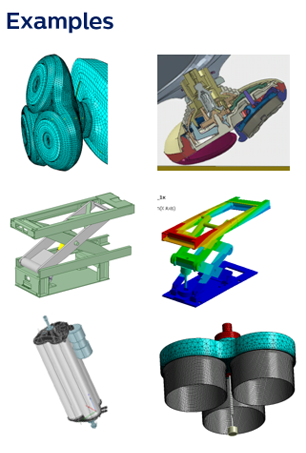 Mechanical Design & FEM calculations. From concept to qualification, helps in finalizing designs without creating prototypes. FEM modeling: a high-level knowledge source of FE modeling and relevant theoretical FE background. Experience and knowledge to have the ability to do sanity checks and hand calculations in order to work fast and effective. 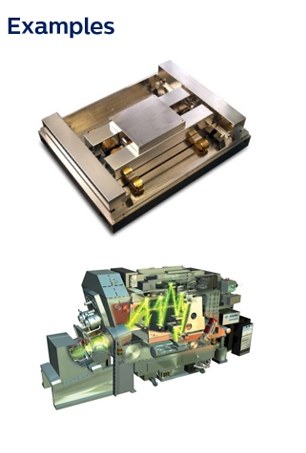 Low error rates, high bandwidth & optimal design regarding precision, costs, interface requirements. Motion control hardware stands for the electrical architecture, design, and realization of mechatronic systems using safe and reliable solutions which comply to world-wide regulatory requirements. Motion control software stands for the design, implementation and integration of motion control software for mechatronic systems. System architecture equipment design. Short Time to Market by first time right development approach. The competence of setting up architectures of equipment enabling high precision processes like imaging, inspection, structuring or measurement of high accuracy structures. 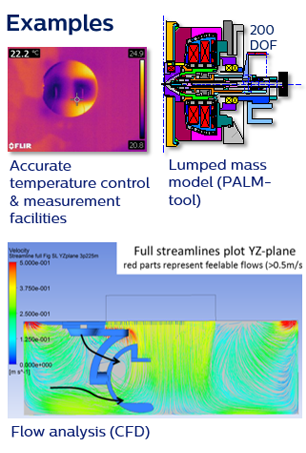 Thermal management & fluid dynamics. Multiple-analysis approach resulting in full insight regarding thermal & flow performance and effects of the system considered. The study of friction, wear and lubrication. Lifetime, friction & wear, wear factor, lubrication (dry & grease/oil), tribo-corrosion, bio tribology, vacuum tribology, tribology treatments & coatings. Recent developments at Philips Innovation Services help overcome the shortcomings historically associated with reluctance actuators. 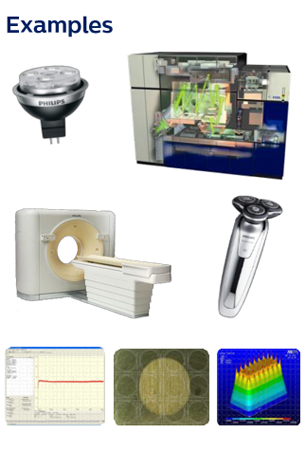 How to determine if a product will meet its drop and shock testing requirements? Is it possible to predict this during design, so countermeasures are taken if necessary?